Last week I started making some changes to my Etsy store, I wasn’t really too happy with how it was looking so I made a little set up for my new polymer clay dragons/dinosaurs and redid my old product photos with it also! I’ve also made some changes to the way it looks, the focus is off just hama bead art now since I’ve started adding more creations to it. 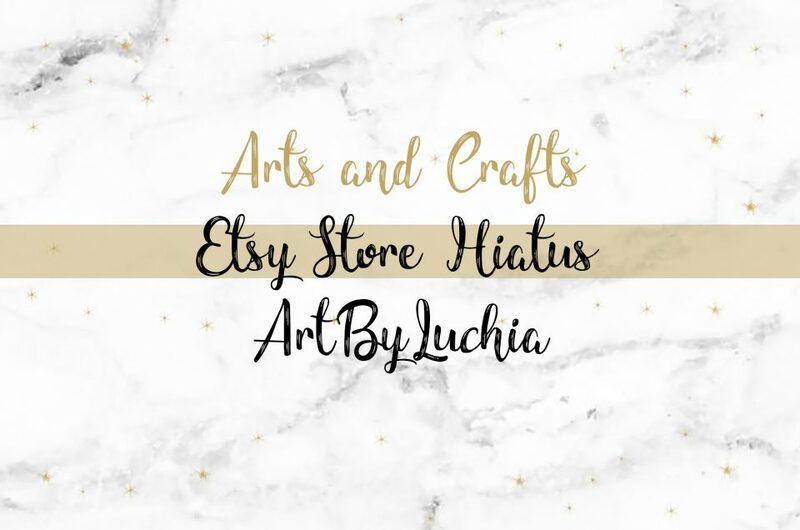 I won’t be showing my dragons from previous updates on this post, but make sure you take a look at my Etsy as they’re looking so much better now! I love this little guy! I made his wings a bit more “flowy” and I just love how it works with the swirls on the dragon. I like to think of this dragon as more of a sea/mer-dragon due to his little tail. Again I made him look quite marbley which suits him well! This little clay dragon has more spikes instead of wings, as a result he looks a little more like a dinosaur but I do love the contrast of his green eyes against the blue skin! Before I baked this clay, it was a lot lighter and closer to blue, I was hoping for him to come out looking like Blue, the velociraptor in Jurassic World, I guess we’ll call him Midnight the velociraptor instead! He’s resting from playing with his friends. Maybe I should make a pack family for him? I definitely love this snake, he’s a lot bigger than my others and it gives him a big character as a result! I added some gems to give him a bit of decoration in a more fantasy style, he’s one I’ll struggle to part with for definite! Last but not least for the clay dragons, I haven’t done this style of wings before but I really love the way it came out! He looks like a mix between an angel and demon dragon with them and the horns and I just think he’s adorable. 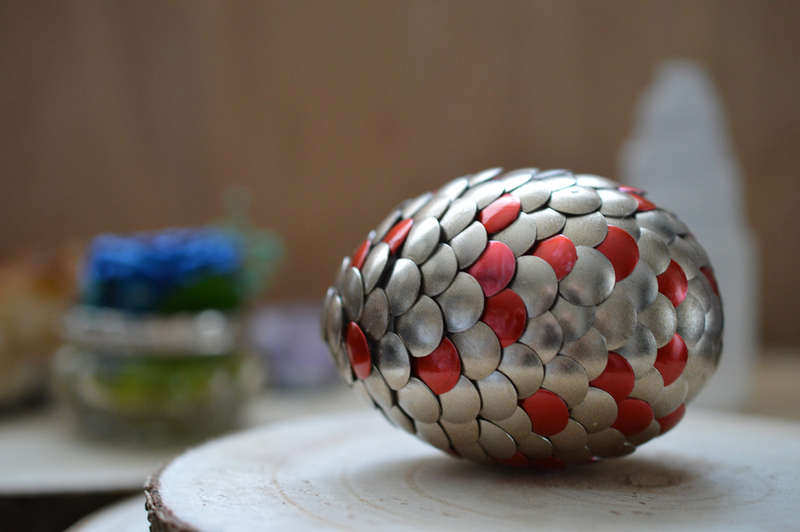 I’m having a lot of fun making these and even with planning new dragon egg designs, so stay tuned as you’ll probably be seeing much more of them soon! The above eggs are both around 7.5cm tall, 5cm wide. They take quite a while to make (maybe I’ll get quicker though) but it’s definitely a therapeutic process! The second egg, red and gold, reminds me of Gryffindor a lot, I might actually make an egg for each of the Harry Potter houses so there’s a full set! That’s all of the most recent updates, so I hope you like my latest creations, feel free to leave a comment with your thoughts on them or contact me for more information! 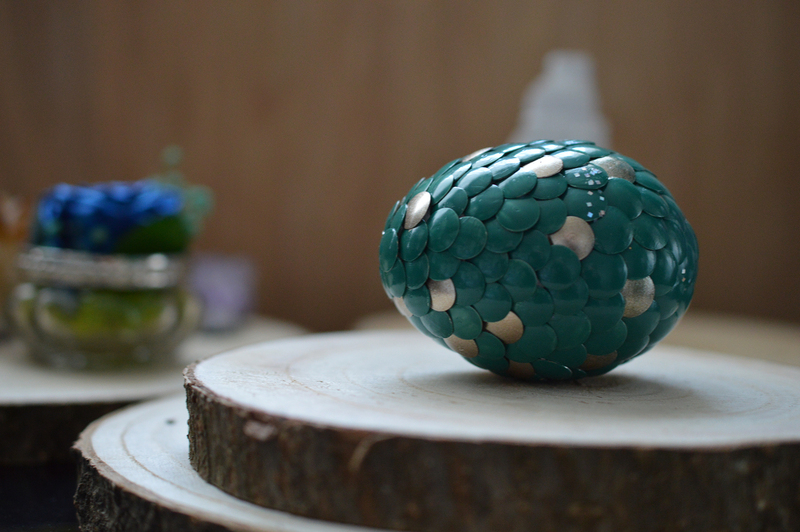 I’d also happily make a custom dragon egg in your favourite colours.